Fortune XA is a fast-cutting media for use in the general finishing of ferrous metals, plastics and rubber. It combines good cut with long life, and deburrs and finishes in one operation. Recommended for parts where lodging problem is not critical. XA (gray, 130-140 pounds per cubic foot). Designed for the finishing and deburring of ferrous and non-ferrous metals. It's a unique "coloring" abrasive, extremely durable, which makes it ideal for light burr removal, radius formation and surface refinements. Imparts high luster finishes on practically all types of metals. Close sizing minimizes wedging in work pieces. XB (brown, 130-140 pounds per cubic foot).
. XA XB Min. & Max. Min. & Max. .
Media engineered to the customer's exact requirements is available on a made-to-order basis. Minimum order is 500 pounds. Orders of 5,000 pounds or more are priced the same as stock items in like categories; with a nominal increase in price for orders under 5,000 pounds. • All prices are per pound. • All shipments are in 50 pound cardboard containers. All shipments are FOB shipping point. • Pallet Charge - there is a non-refundable pallet charge for all shipments requiring one or more pallets. • Minimum Purchase - 50 pounds for stock items, and 500 pounds for made-to-order items. • Stock items may be combined to obtain quantity pricing. • Made-to-order items are priced at quantity ordered only. • If stock and made-to-order are combined, the stock items will receive the total quantity pricing, but the made-to-order items will be at the individual quantity price. Our process engineering department is fully equipped to help you find the most efficient and economical way to solve your finishing problems. We have a wide variety of tumbling and vibrating machines in our laboratory enabling our engineering staff to determine the best process and media for your particular situation. To take advantage of this free service, just send us samples of your unfinished parts. We'll study your finishing requirements and run tests to determine the best shape, size, composition and compound for your finishing operation. Consultation is also available to you in the installation of complete finishing systems. There is no charge for either service. Abrasive Finishing also manufactures the Burr Bench vibratory finishing equipment. Burr Bench is the first portable deburring machine. 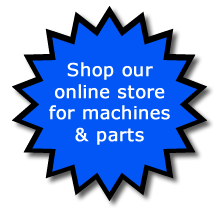 It is economically priced, and provides quiet and efficient finishing of your parts. Heavy duty construction and design give you a long life of dependable performance. Available in 3/4 cu. ft., 2 1/2 cu. ft., and 5 cu. ft. capacities. See your local dealer for further information or call 734.475.9111. Abrasive Finishing, Inc. has based the statements, technical information and recommendations contained in this catalog on tests we consider reliable. However, their accuracy or completeness is not guaranteed and the following is made in lieu of all warranties, expressed or implied. Technical assistance provided by Abrasive Finishing, Inc. to the Dealer or Customer will represent our best technical knowledge and understanding of the problem and solution. The Dealer or Customer should also test and evaluate our product to determine if it is suitable for the proposed application, but we do not assume any obligation or liability for the advice given or the results obtained. © 2010, Abrasive Finishing, Inc.